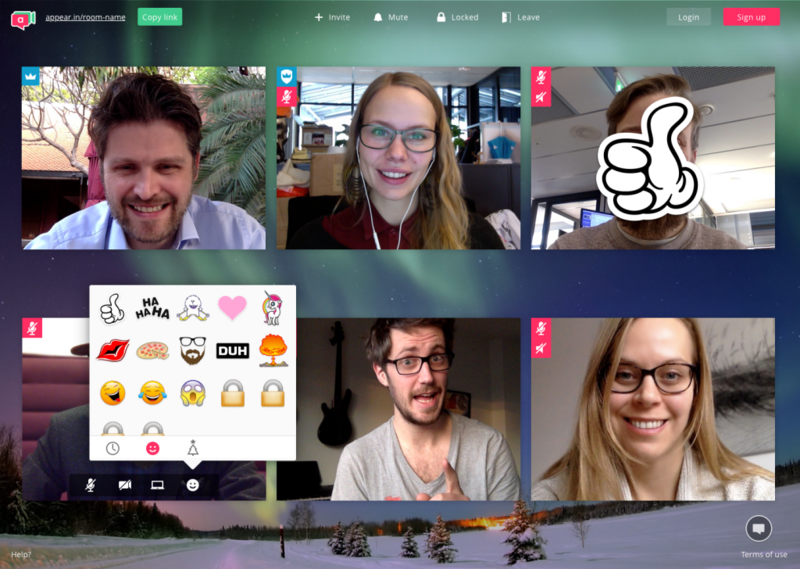 Today, we’re launching voice and video calling in Fleep with our brand new appear.in integration! While Fleep is great for text-based communication as your project messenger or for your team chat, sometimes you just need to talk face-to-face. That’s where the appear.in integration comes in. Use it to talk face-to-face (or voice-to-voice, if that’s your thing) to whoever you’re working with in Fleep. It couldn’t be easier to use appear.in for voice and video calling in Fleep. To get started with appear.in calls, first claim a room in appear.in and configure it as the default appear.in room in the Fleep conversation’s settings. Then, simply type and send “/call” or choose Start a video call from the message box actions menu on the desktop version of Fleep. 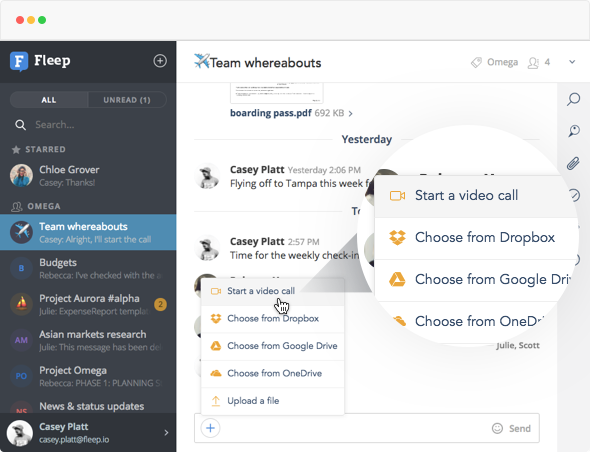 This will create the call and launch it in a browser window for you. A system message is posted into the conversation where you start the call, saying that you have started a video call. Everyone who wants to join can just click on the JOIN link at the end of the system message – and the call will be launched for them. Note that currently video calls can only be started from the desktop version of Fleep (Mac, Windows apps and web browser). However, anyone using the Fleep mobile apps can easily join the call by clicking on the JOIN link. You can have group video conversations with up to 4 people at once. No registration or download necessary. Simply join the call in your web browser. At most, you may have to allow popups for Fleep in your web browser, and then allow appear.in to use your camera and mic. That’s it. Excellent video quality. Enough said! Stickers! A little fun never hurt nobody. Also, they’re practical. You can use them to show approval without unmuting yourself, for example. Find out more about appear.in on their website or browse their FAQ. That covers it! Feel free to send us your feedback by Fleeping us at support@fleep.io or on social media – Twitter, Facebook, LinkedIn and Instagram.